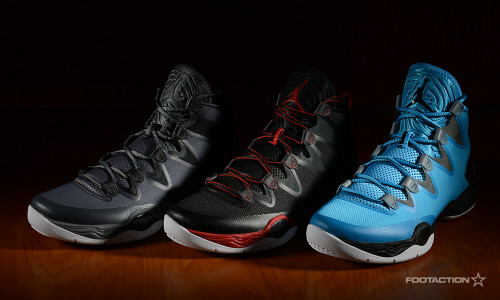 Jordan Brand unveils the latest iteration of their performance basketball powerhouse sneaker, the Jordan Super.Fly 3. The team of designers worked with Los Angeles Clippers star Blake Griffin in mind, crafting a sneaker that ensures optimal performance for any athlete as explosive and high-flying. 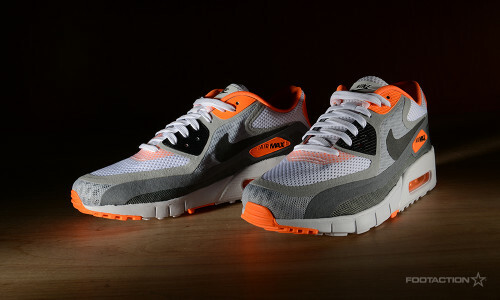 The shoe arrives in three different colorways: Grey/Black/White, Teal/Pink/Black/Orange, and Black/White/Grey. To get into further detail, the outsole pattern draws inspiration from the AJ XX9, while also providing the same reliable durability from the shoe. The shoe’s upper contains synthetic overlays that add additional structure on the toe and heel, as well as lightweight textile quarter panels to create a strong and durable exterior. Griffin’s movements on the court mimic something like a sonic boom, so the upper design brings the inspiration of the shoe to life in a vibrant pattern that is sure to be noticed as players run swiftly and take flight in the Jordan Super.Fly 3. The widely popular Nike Roshe Run can be seen at Footaction in three brand new “Multi” colorways. To fulfill the position of your go-to summer sneaker, this version of the Roshe has a full mesh upper for breathability. The colors available include: Anthracite/Venom Green/Summit White, Military Blue/Turbo Green/White, and Mica Green/Venom Green/Summit White. 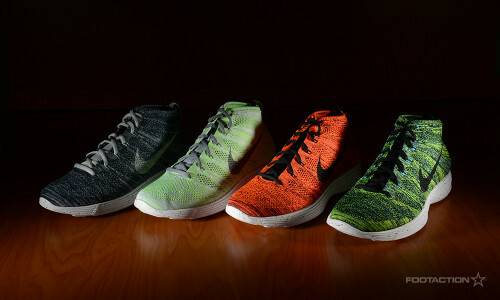 The sneaker’s toebox underlay coincides with the tip of the midsole for great contrast. Check out the pictures above to see which option suits your style best.